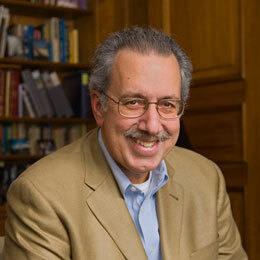 Richard Boyatzis is a Professor in the Departments of Organizational Behavior, Psychology, and Cognitive Science at Case Western Reserve University. He is the author of more than 150 articles on leadership, competencies, emotional intelligence, competency development, coaching, and management education. He was ranked #9 Most Influential International Thinkers by an 11,000 HR Director Survey in HR Magazine. His books include The Competent Manager; the international best-seller Primal Leadership with Daniel Goleman and Annie McKee (in 28 languages); Resonant Leadership with Annie McKee (in 18 languages); and Becoming a Resonant Leader with Annie McKee and Fran Johnston (in 7 languages). He also teaches “Inspiring Leadership through Emotional Intelligence,” a popular massive open online course (MOOC) through Coursera.org. What one thing most influences a company’s bottom-line performance? How can resonant leadership be applied to the entire organizational culture? How can a leader avoid “CEO disease”? Visit the Weatherhead School of Management at Case Western Reserve’s website for more information on Emotional Intelligence and executive education.